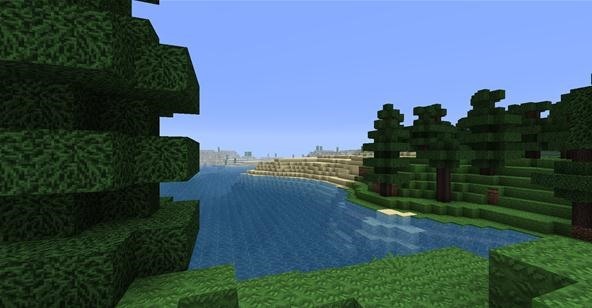 Part 5 in Minecraft World's Ultimate Survival Guide is, for me, the longest article to write. Since I squeezed out a lot of information from other areas to put into survivability, its going to be a fairly long read. Of course, you can just skip to your topic of choice. Missed the other guides? Click on the links below! In my opinion, survivability isn't just about how long you can survive, but how well you do it. There are, therefore, many strategies, methods and tricks to survival which will all be covered here. To start off, I want to show you an example. 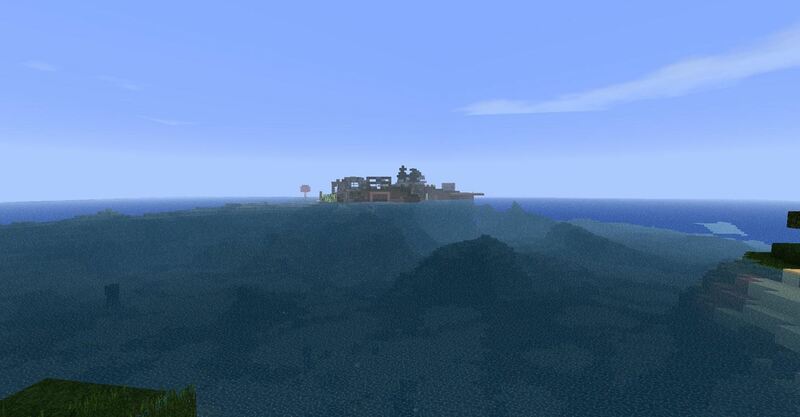 (1) This was an island I found on a multiplayer server. It was very far from spawn, about 20 minutes of walking. Notice the wildlife: 1 tree and 1 dog. 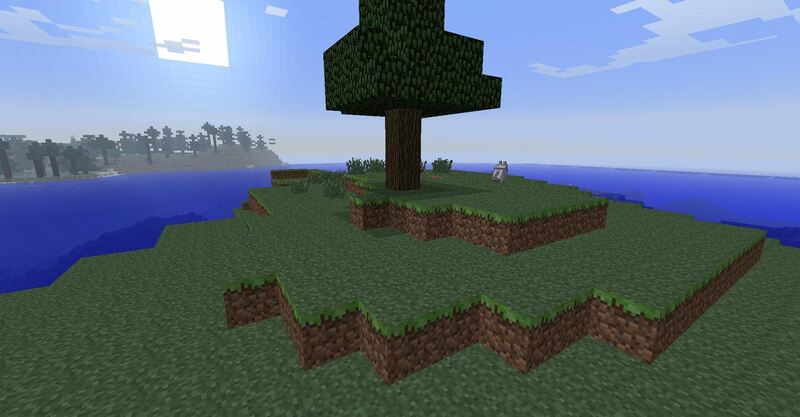 , (2) I made a farm, built a small home and planted a few more trees. As a rule, I replant every tree I cut down, to ensure produce. 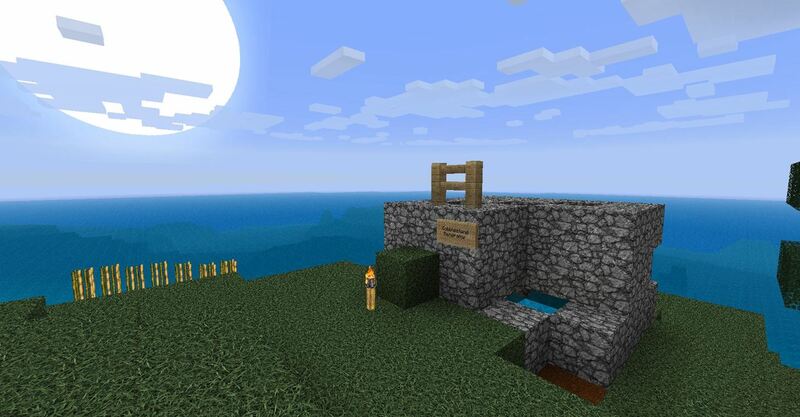 (3) Then, I added a cobblestone generator, to ensure unlimited supply of building materials. , (4) Later more friends joined and we started working on aesthetics. (5) Today, the island thrives with activity and is completely self sustainable. What I want you to take away from this is not how awesome the island is (which it is) but how from 1 tree, the island has become completely self sustainable. 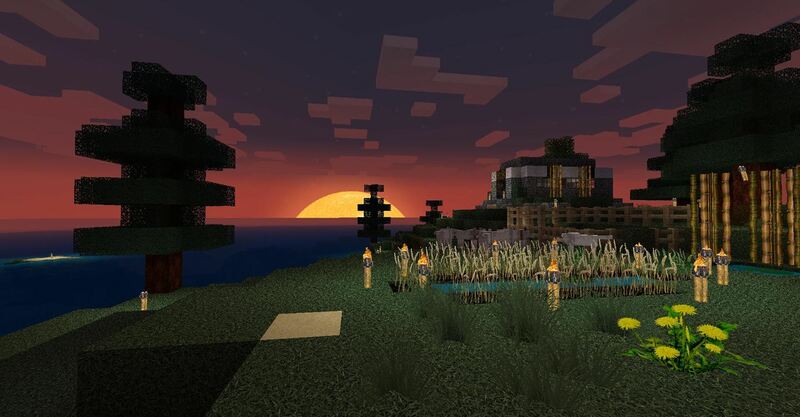 This ability to go from a state of Nomadic to Settling down is vital for survival in Minecraft. Nomad: The state in which you are looking to settle down in a beautiful place you just saw, or you just want to stop roaming around. Sustainable as a nomad: Being able to survive without permanent structure. For example: Making a temporary structure for the night, then moving on in the morning. Now, I can say with experience that ANY place can be home. But not every place is a good one. It shouldn't be hard to find one. Good source of food, and a steady one, if not abundant. More is good. A mine big enough to last a long time. It's okay if you have to travel a little bit, but it shouldn't be too far. A scarcity of mobs is good. Unless you want 'adventure'. There is a whole guide to farming food here, and it literally has everything you need to know about it. Chose your farm location well! It should be easy to reach and easy to harvest! Make sure there is adequate protection from mobs who may trample and destroy your crops. Make sure there is enough water and light for produce to grow. Ah, yes, the big topic. These are techniques to survive encounters with mobs above and below ground. This is probably the easier of the two places to survive since there aren't any other particular dangers to contend with other than mobs. Adapting to situations on the surface are, as stated earlier, easier than adapting in the mines. Adapting means changing tactics depending on the current situation. Remember: Adapt thoughtfully. If you think adapting at that situation won't help, run/walk away. Don't take unnecessary risks. This ability can prove invaluable in many situations. Knowing where certain things are puts you one step ahead of everybody. Here's an example that shows some combat judgement: singling out mobs. In this video, I single out the creeper from the skeleton; you just dont wan't to fight them together. Trust me. Welcome to the mines, caves, dungeon, holes, tunnel......you get it. This is where we find our items of 'pleasure'. But as in real life, all things come with a price. The price here is the threat to your life itself. As such, it is important to know how to wade through the many dangers of the underground. Most of the adapting process is the same as what you would use on the surface. But there is one thing that changes: your mindset. The mines are very different from the surface: smaller areas, less light, more frequent monsters, and more natural danger. You must have enough supplies to help you survive, as mentioned previously. Here's an important lesson: always carry a bucket of water. It's one of the most important things you can carry in your inventory. It can save you from lava, help you get down/up deep ravines and drown/clear mobs. Use blocks to make bridges over lava lakes. Can't do that? Pour some of that magical water and boom! You get obsidian walkways. Now this is very important in the mines. With the added presence of lava and gravel (suffocation), we must be all the more careful. Before entering combat, take a moment to memorize your surroundings. Don't do anything you don't feel comfortable doing. Another major thing is knowing where you came from. I'm the kind of person who just somehow knows what path I took to get where I am now. I understand not everyone is like this so to you all: PLACE MARKERS. 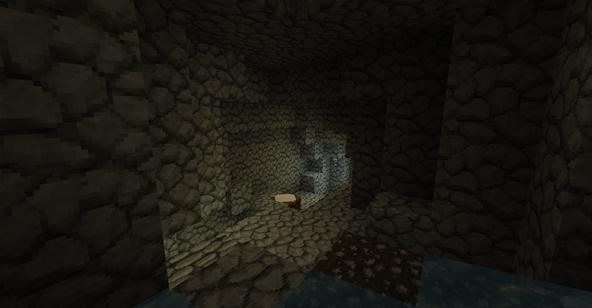 Getting lost in the mines can ruin your day and though you may have found 50 diamonds, what use is it if you can't go home? While many people recommend placing torches in a certain way, I say that doesn't work. Instead, place your own markers like: a pool of lava, cobblestone in a certain shape, or just about any blocks that remind you of something. That's about it for basic survival for everybody. This has been an awesome series to write, though it's taken a lot of time. I appreciate your concerns/questions/comments so post away! If you want me to make changes or add things, post down below and I'll consider it! Great series. Really thoughtful / well written. I agree, Rachel - this tutorial is awesome. My favorite tool (besides a pick axe and shovel) to take mining with me is definitely a bucket of water! Thanks for the tutorial Niko, I wish I had this tutorial when I first started out! It would be cool if you could combine all of these into one article. Very nice article series though- its really cool! 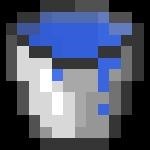 You never went to nether, dude you can just use blocks, water bucket, lava bucket and a flint and steel. 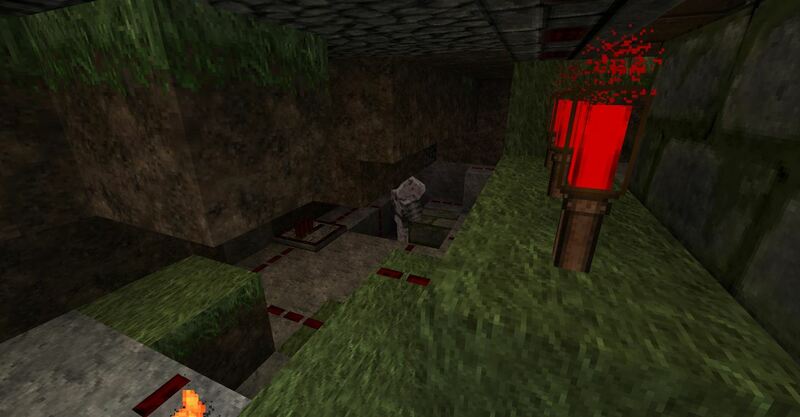 nice article, looking forward to you nether mob killing tutorial!